Since my last post on Rphylip I've added R interfaces for a few more of PHYLIP programs: consense (Rconsense), proml (proml), and promlk (promlk). The latter two do ML phylogeny estimation (without & with a molecular clock, respectively) from protein sequences. 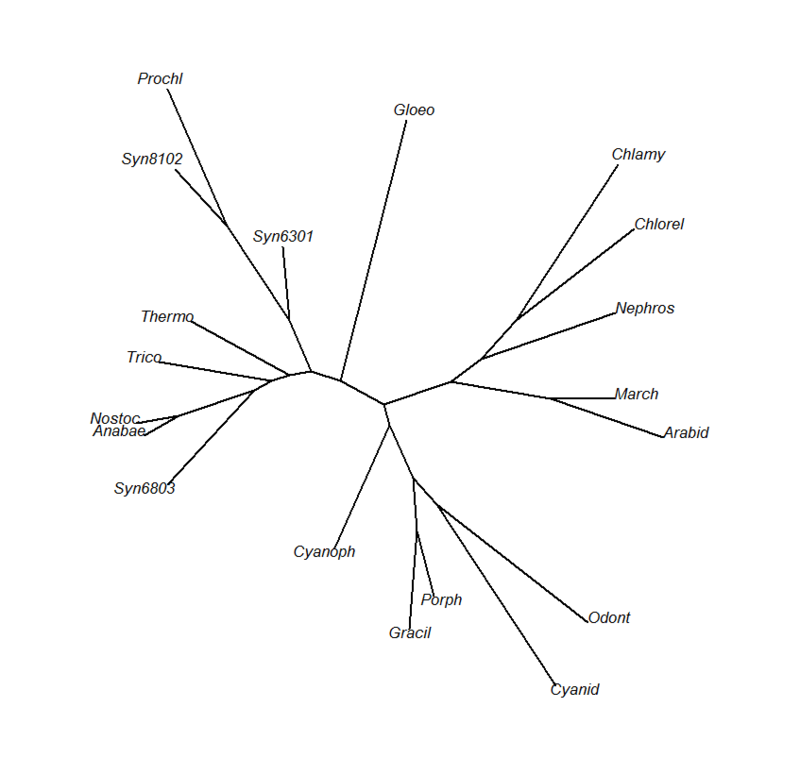 In addition to these new interfaces, I also added a few different functions for handling protein sequences in R. I should say that I first attempted to establish whether any such methods already existed in other phylogeny packages by running help.search("protein") on all of my installed packages. What I didn't think to do was search for "amino acid". Had I done so, I would have found the function read.aa in the phangorn package, with which at least my Rphylip function read.protein is basically redundant. read.protein, an amino acid sequence reading function that can accept data files in formats "fasta" or "sequential". If format="sequential" or format="fasta" with all sequences of the same length then read.protein will store the input data in a matrix; whereas if format="fasta" and sequences have different lengths, then the data will be stored as a list. In both cases the object is assigned the class attribute "proseq" (protein sequence, in case it wasn't obvious enough). Finally, as.proseq converts protein sequences from other formats. At the moment, it only recognizes & converts from objects of class phyDat (with attr(x,"type")="AA") from the phangorn package. 19 protein sequences in character format stored in a matrix. Rphylip can be obtained from its webpage or from github. Thanks so much for this integration. Would it be possible to add support for Rivas and Eddy"s dnaml-erate program? It is an extension of the dnaml executable for an F84 + non-reversible insertion/deletions.